Awesome action captures, Hien! 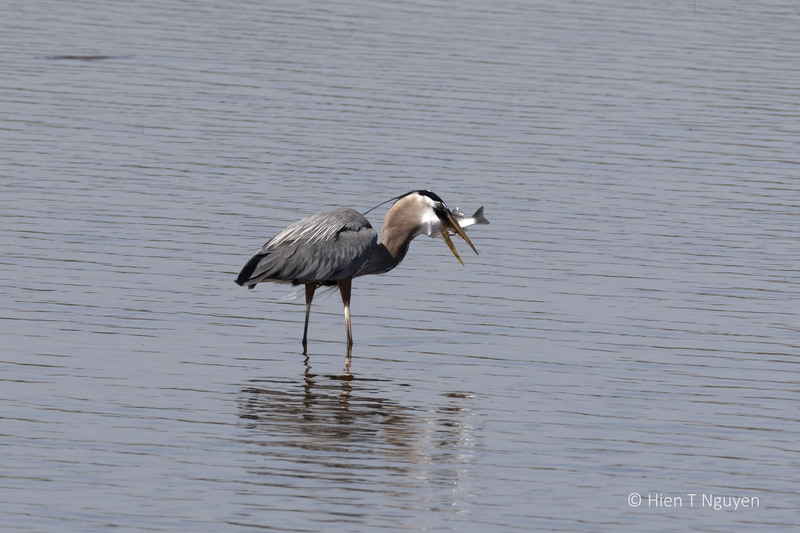 It is amazing how the GBH can swallow those big fish in a couple gulps! 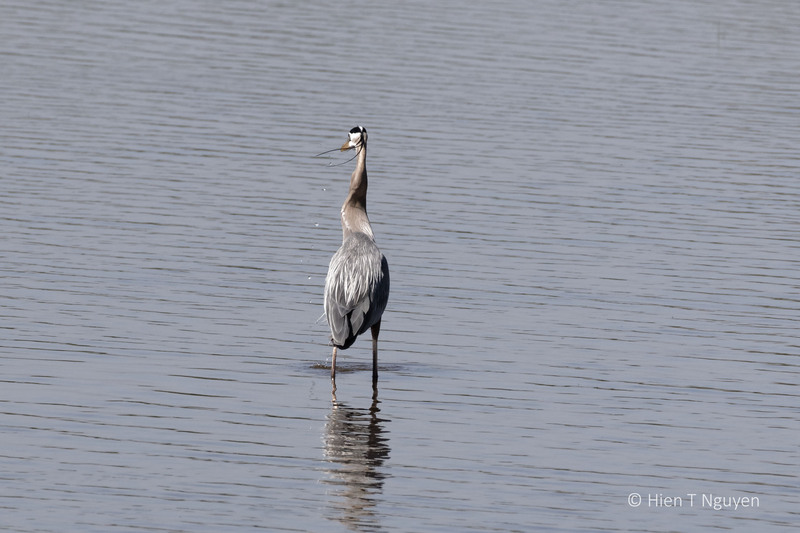 I had to laugh when I saw this post as I had watched a similar scene the day before of a Great blue heron standing in the water so stock still waiting for fish. 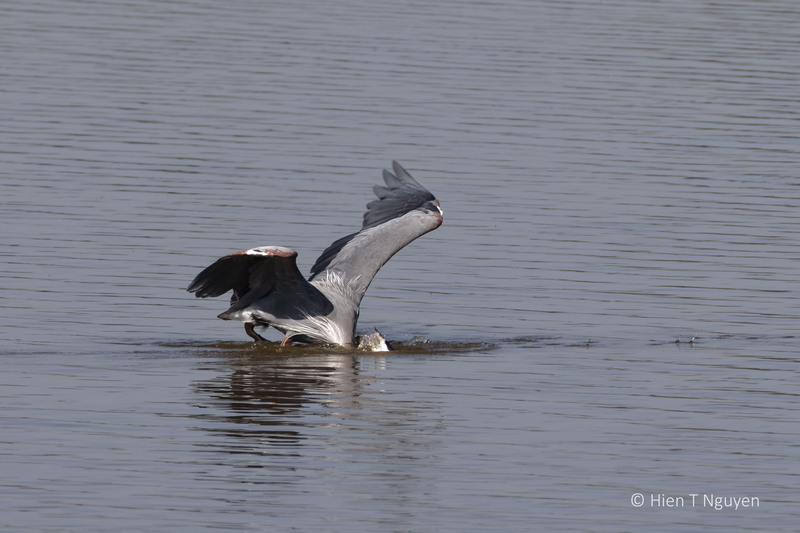 I watched a long time and took pictures, since the bird was so perfectly statue still. But, left to go follow the wood storks. 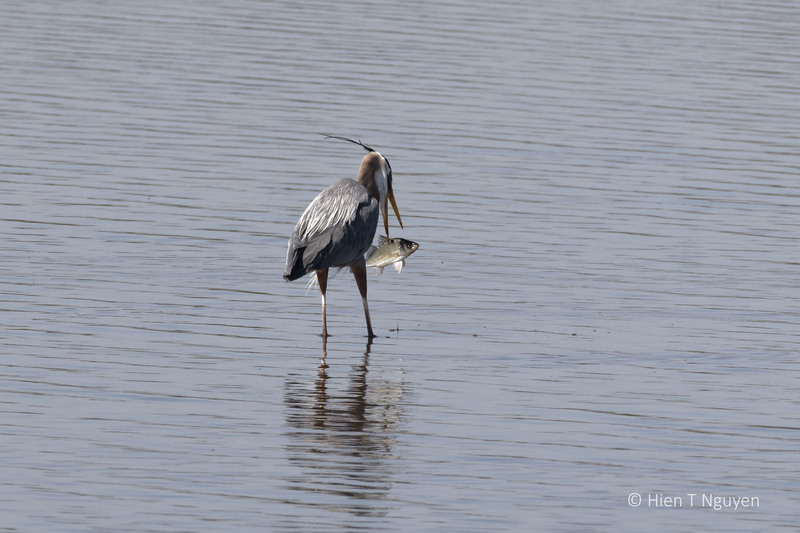 When I returned to the spot later other folks told me the bird had caught a nice big fish. So I missed the catch!! 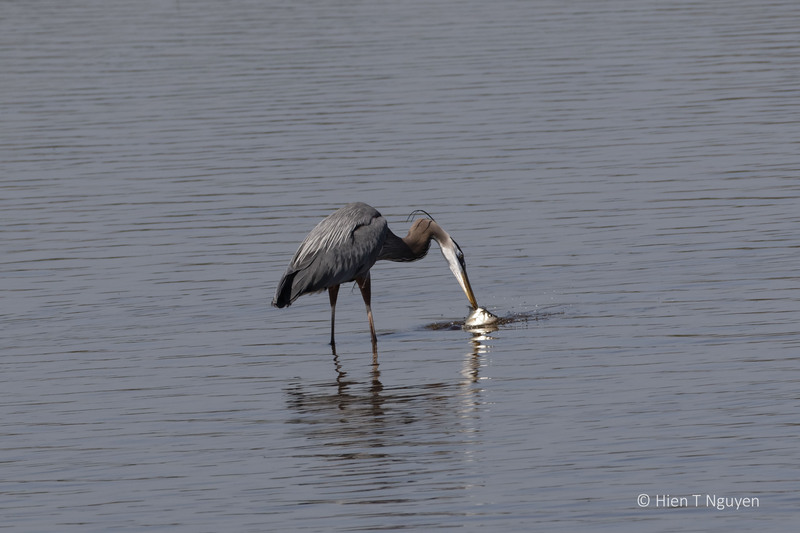 Isn’t is always amazing how they know to flip the fish around and swallow it head first. What instinct!! Bet, some bird, some time, learned the hard way!! Ouch! 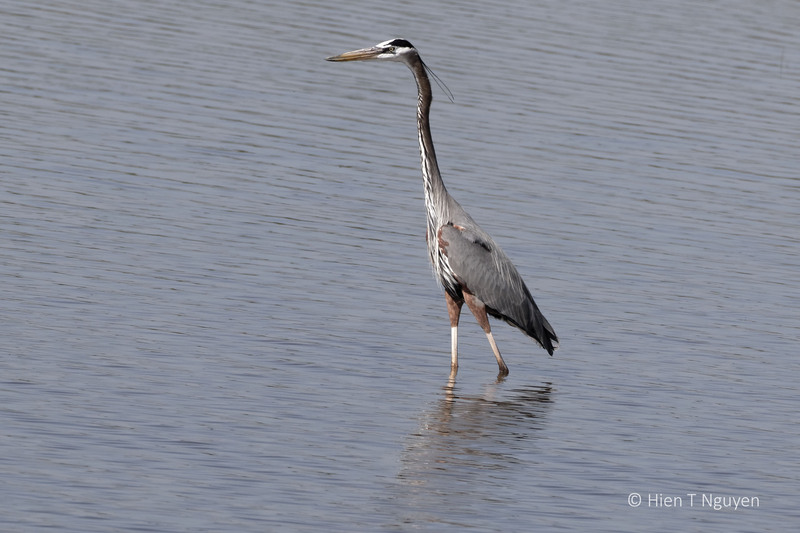 Judy, your photos of that heron would have been so outstanding. There’s always a next time though, especially in your area. Great series of photos, Hien! 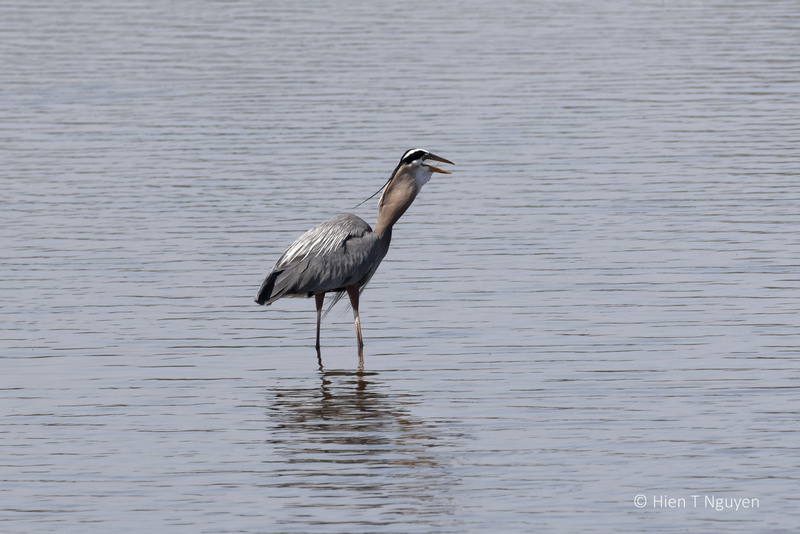 I saw an almost identical sequence one day at the salt marsh, but didn’t have my camera. Thanks for sharing the excitement! You are welcome Tiny. Like some say, the best camera is the one you have with you. Thank you! 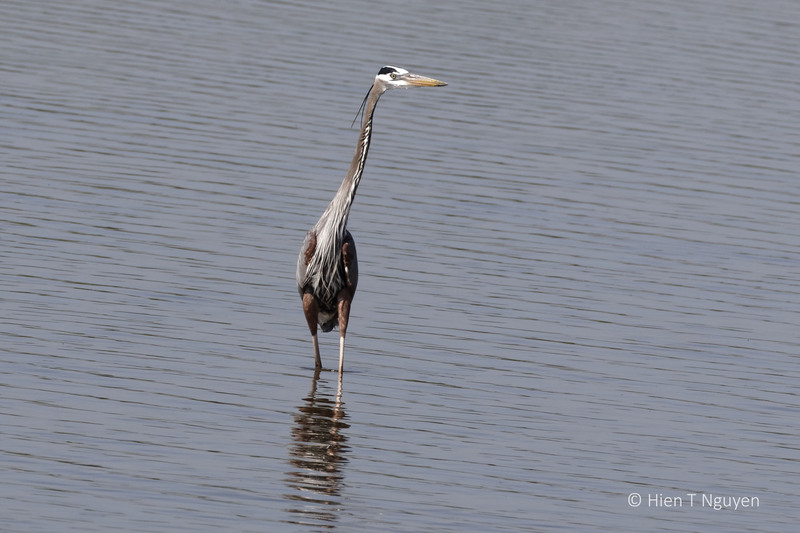 I was probably 70 to 100 ft from the Great Blue Heron. He ignored me, and two other people. Whoa this is a fantastic series Hien – great shots. He was a beautiful Heron, a great fisherman too!! Thank you Lisa and Bear! 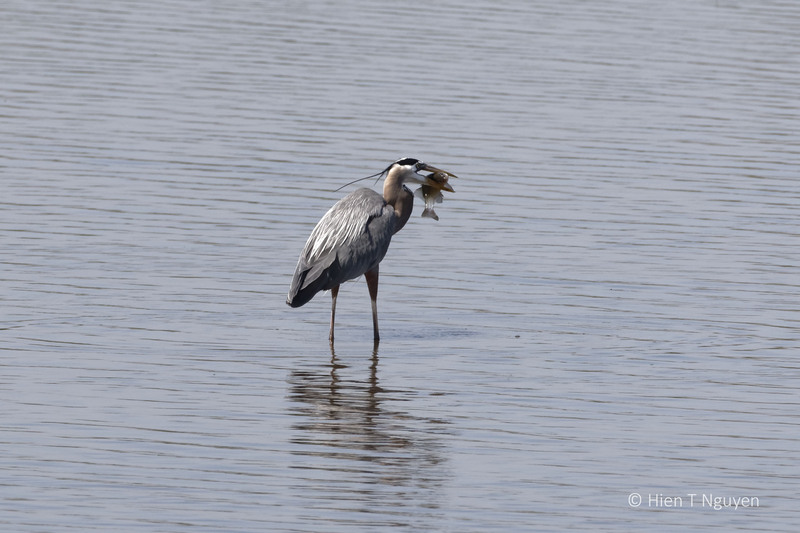 Yes, it was a big fish meal. 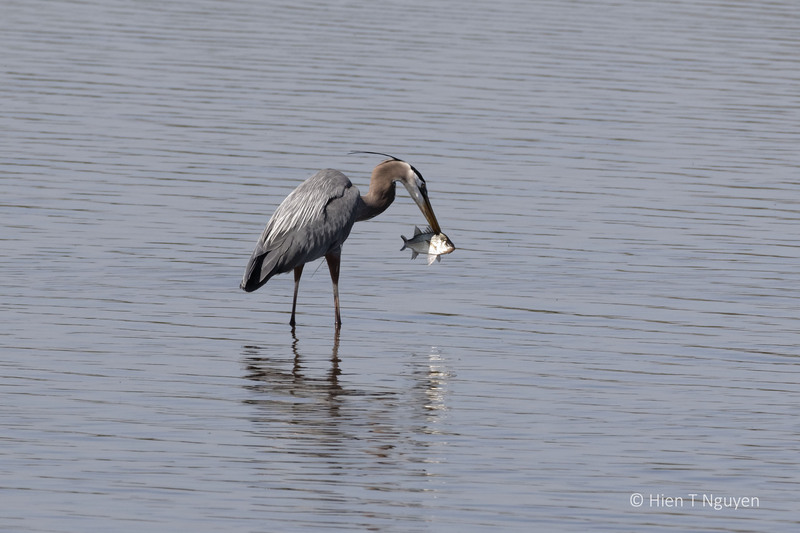 How wonderful to watch a blue heron catch and eat a meal. This was the second time for me, and it was just as wonderful to watch as the first time. 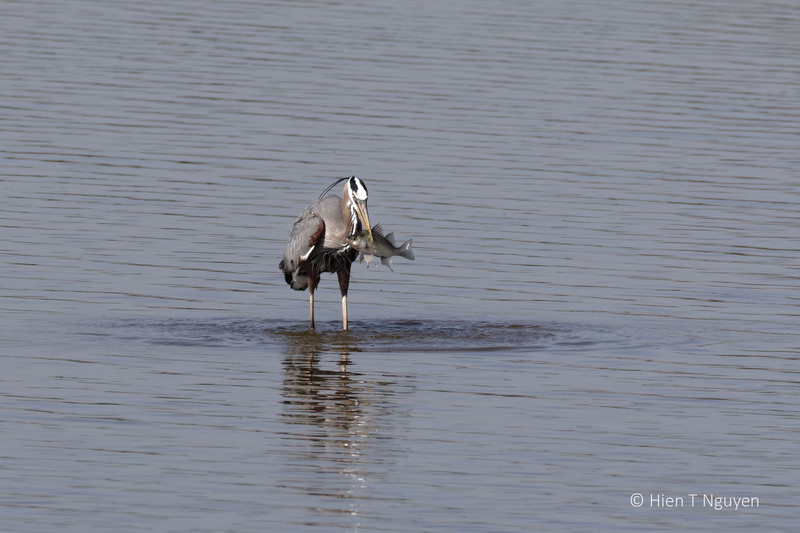 Great catch, blue heron and you.I enjoy every frames. Thank you Anh Nhi. I thought you might like them. It was a big fish. I have seen other photos where the fish were even bigger! They are such expertt fishers! They are indeed! When they have young ones, they take the food back to their babies and feed them through regurgitation.